Check out @SonicSenseAudio ﻿’s look at the StudioLive AI mixers and speakers in Tales From the Trenches – The Bar Gig! Check out Sonic Sense Pro Audio‘s look at the StudioLive AI mixers and loudspeakers in Tales From the Trenches – The Bar Gig! If you want a real-deal look at how the AI ecosystem works at an actual gig, look no further. See the video below, and be sure to read the whole article by clicking here. Comments Off on Check out @SonicSenseAudio ﻿’s look at the StudioLive AI mixers and speakers in Tales From the Trenches – The Bar Gig! SL Room Control Now Available! Hey StudioLive AI PA Loudspeaker owners, we thought you would like to know that SL Room Control is available now for Mac and Windows. It’s free. The iOS version will be available soon. Click on over and log in to my.presonus.com to get the latest firmware update for your StudioLive AI PA loudspeakers, which will unlock their full power via SL Room Control! SL Room Control provides wireless access to a suite of professional system-alignment controls for customizing each StudioLive AI-series speaker on the network to compensate for room anomalies, create delay systems, eliminate feedback, and more. To get SL Room Control, simply log in to your My.PreSonus.com account and download the installer for SL Room Control, as well as the firmware update required for your speaker(s) to connect to it. Once you’ve updated the speakers’ firmware, you’ll be able to take advantage of SL Room Control. Have fun! Oh, and here’s a video on the StudioLive AI Loudspeaker firmware update process. It’s easy. When Tiny Frog Media is involved, the hits can’t/won’t stop. Here, Greg takes a close look at the entire line of StudioLive AI PA Loudspeakers. His talk-through is pretty handy if you’re trying to decide exactly which StudioLive AI PA speaker is right for you and your applications. While he addresses high-tech matters such as power, DSP, and software integration, he also addresses some of the equally-enthralling low-tech features offered by these speakers, including threaded pole-mount adapters, dollies, and dust jackets. Give a look-see. Here’s Travis Brockway, live sound engineer for Shane and Shane and Phil Wickham, recently brought the entire PreSonus Active Integration package on the road for the bands’ Christmas Tour. Here, he discusses his experience with the StudioLive AI mixers, and why they’re the right fit for small-to-medium sized churches. Furthermore, he takes a look at the StudioLive AI speakers, and how they make for the best possible live performances—and how Capture 2, Studio One, and Nimbit make for effortless recording, editing and online distribution of performances and services. 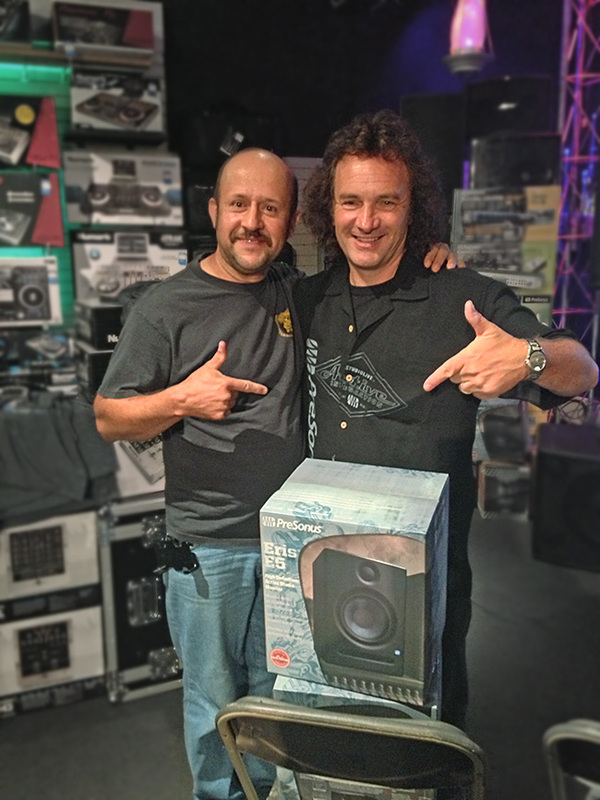 Check out this first look at the StudioLive AI PA Loudspeakers from SonicSense! Thanks, guys!